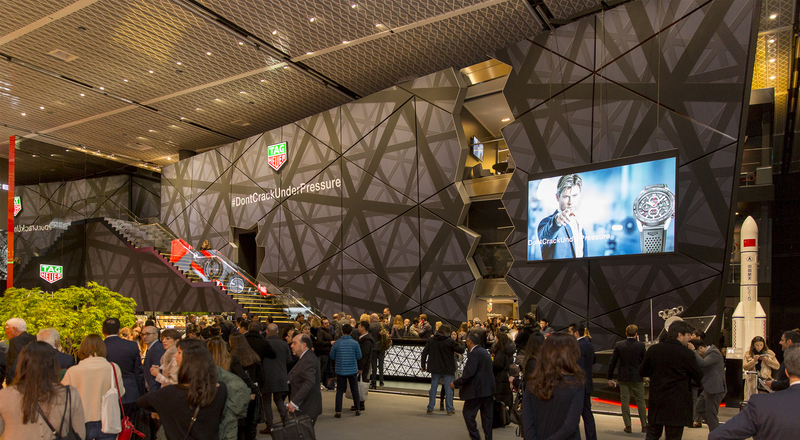 Excellence and precision define new timepieces unveiled by TAG Heuer at Baselworld 2018. The latest models from the Maison include a new interpretation of its iconic Monaco watch with Bamford Watch Department, and a TAG Heuer Carrera Chronograph Tourbillon Chronometer bearing the “Tête de Vipère” stamp of excellence. To celebrate 55 years since the iconic Heuer Carrera was introduced, the watchmaker has created the TAG Heuer Carrera “Tête de Vipère” Chronograph Tourbillon Chronometer in a limited edition of 155 pieces. The chronometer bears the prestigious “Tête de Vipère” stamp awarded by the Besançon Observatory. Only 500 watches have received this exclusive certification since 2006. Featuring a contemporary design, this new model integrates a tourbillon and a chronograph with a movement housed in a midnight blue ceramic case, complemented by a ceramic bezel and lugs. With polished, brushed and bead-blasted finishes, the watch has the “Tête de Vipère” stamp applied on the bridge, visible through the sapphire crystal of the case back. 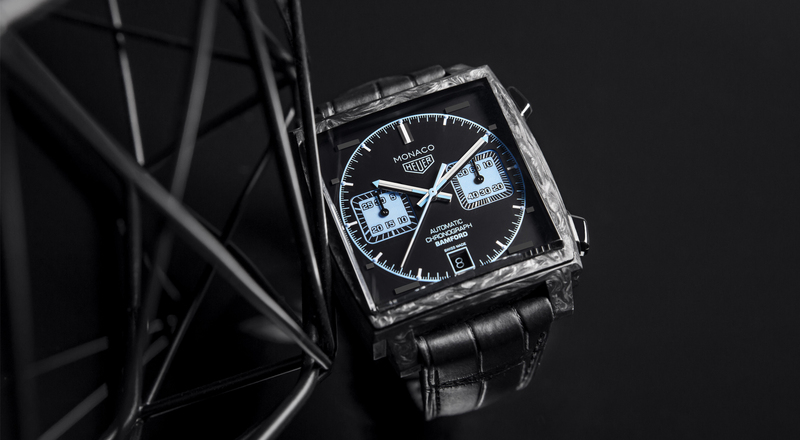 TAG Heuer also presented another brand new model, the TAG Heuer Monaco Bamford, a striking interpretation of its iconic Monaco watch in collaboration with Bamford Watch Department, a pioneer in customization of luxury watches. The new timepiece was unveiled at a press conference with Jean-Claude Biver, Chairman and CEO of TAG Heuer and President of the LVMH Watch Division, and George Bamford, founder of the eponymous studio. With its exclusive visual identity, the model features a case made entirely from carbon, an elegant full black dial and aqua blue chronograph counters. This flagship in the worlds of watchmaking and motor racing retains the hallmark 39mm case, crafted in carbon for the new interpretation. The dial and case-back are engraved with “Monaco Bamford” and the strap is exquisite black alligator. 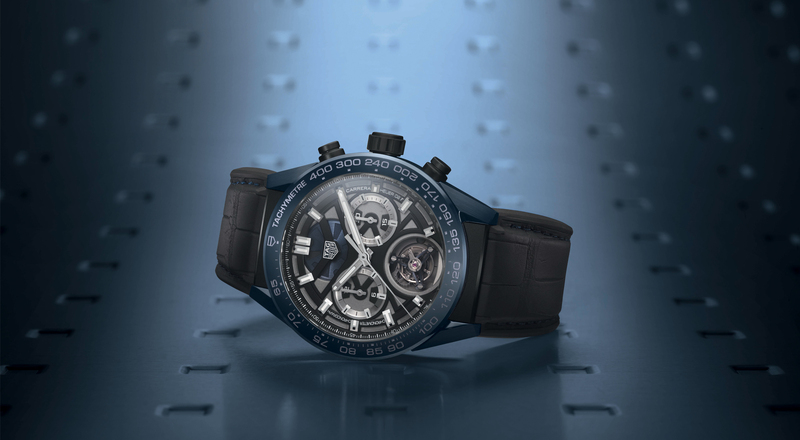 The watch is available exclusively at TAG Heuer boutiques.